This 2018 Margay Ignite K3/Briggs 206 package has 1 race weekend on it. 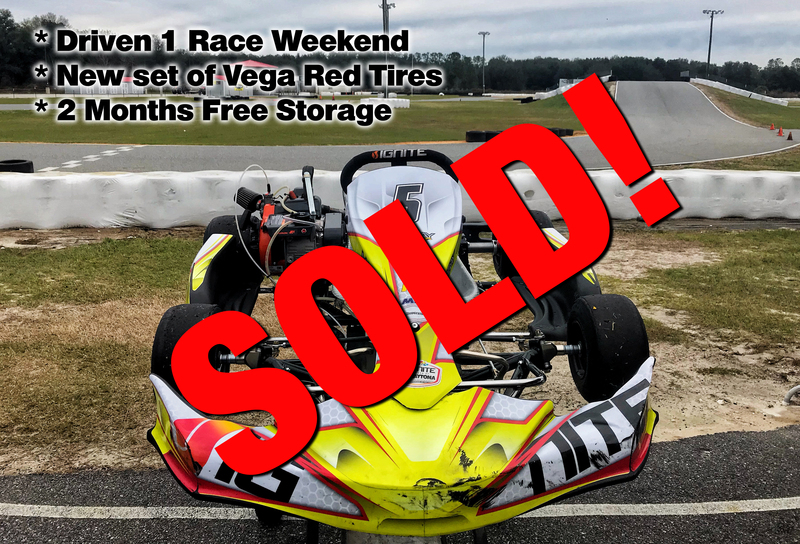 It comes with 1 set of new Vega Red tires and 2 months of storage. 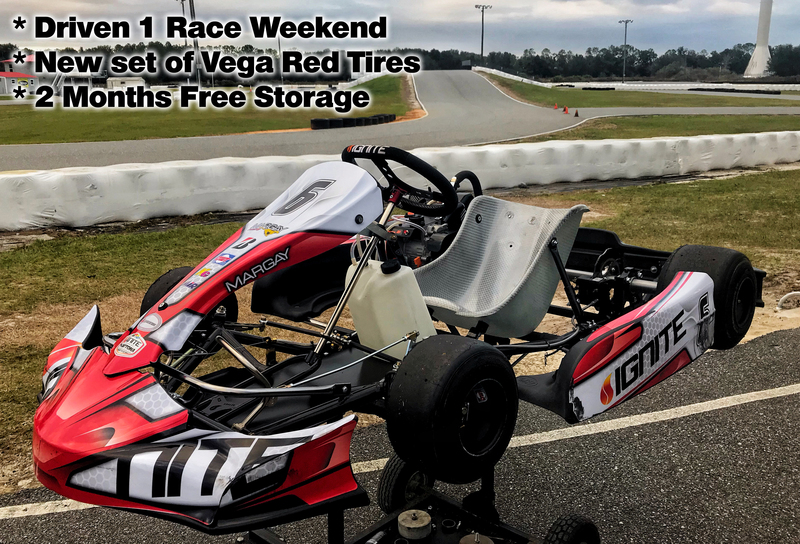 The popular Ignite K3 chassis and the fastest growing engine program make this package a perfect starter kit for anyone trying to get into kart racing or a seasoned veteran looking for quality American championship products. A true turnkey package where all you have to do is add gas and go! 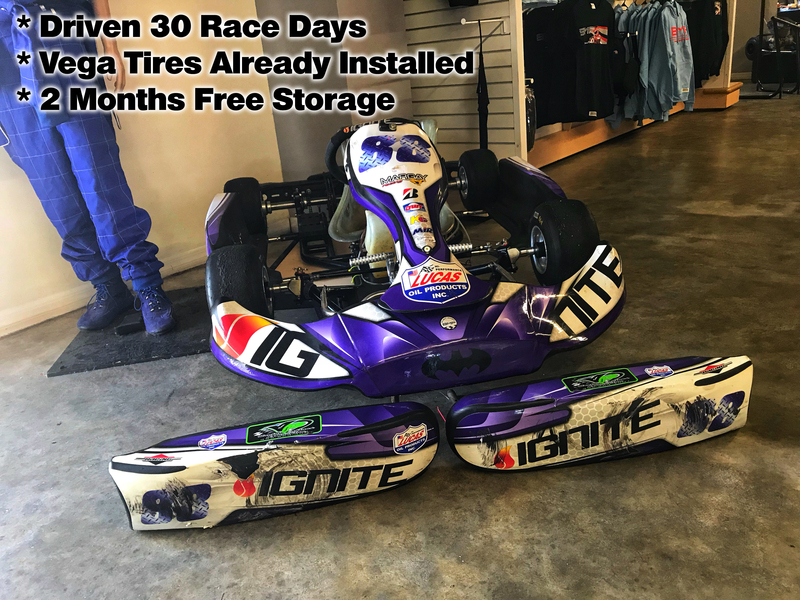 This 2018 Margay Ignite K3/Briggs 206 package has 3 race weekends on it. 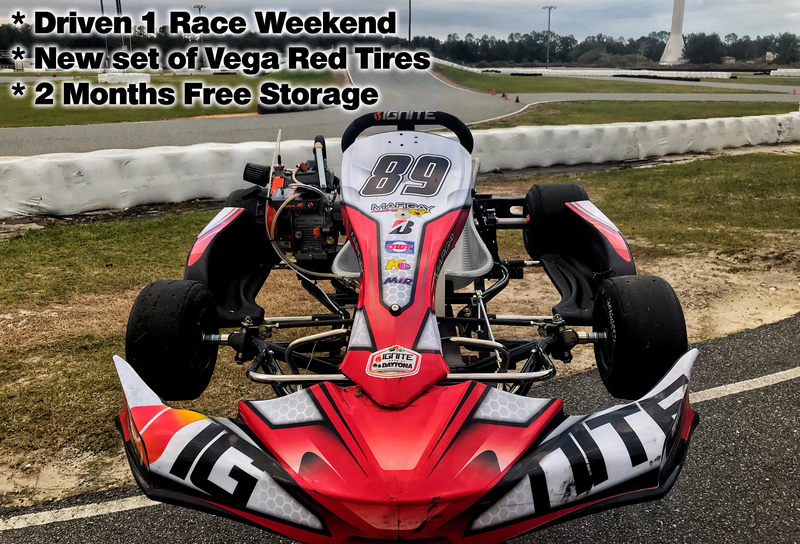 It comes with 1 set of new Vega Red tires and 2 months of storage. 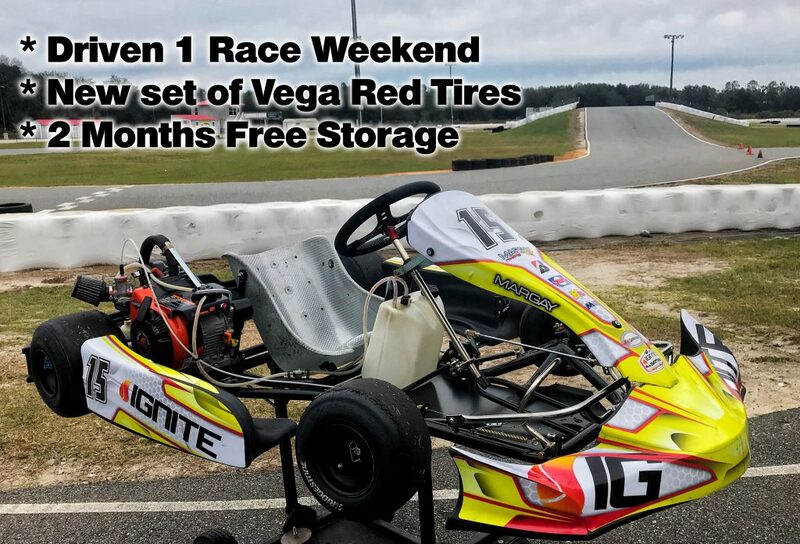 The popular Ignite K3 chassis and the fastest growing engine program make this package a perfect starter kit for anyone trying to get into kart racing or a seasoned veteran looking for quality American championship products. A true turnkey package where all you have to do is add gas and go! 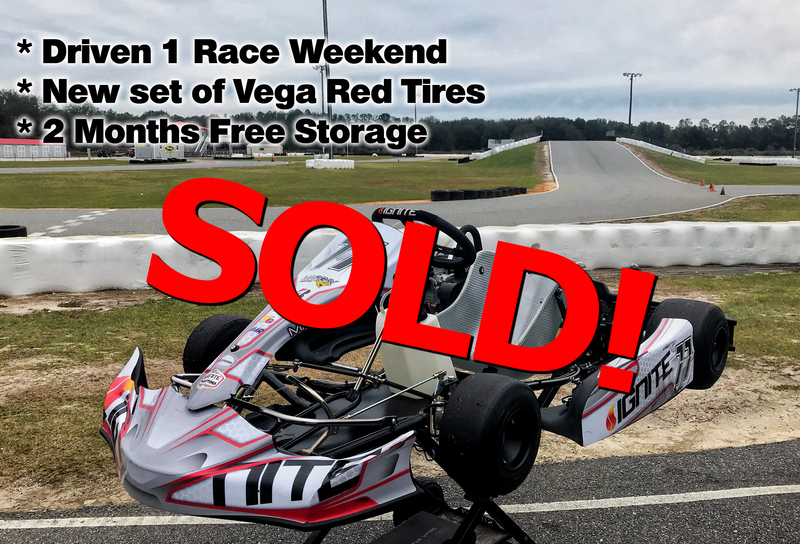 This 2016 Margay Ignite K2 is perfect for any 8-12 year old trying to get into karting. 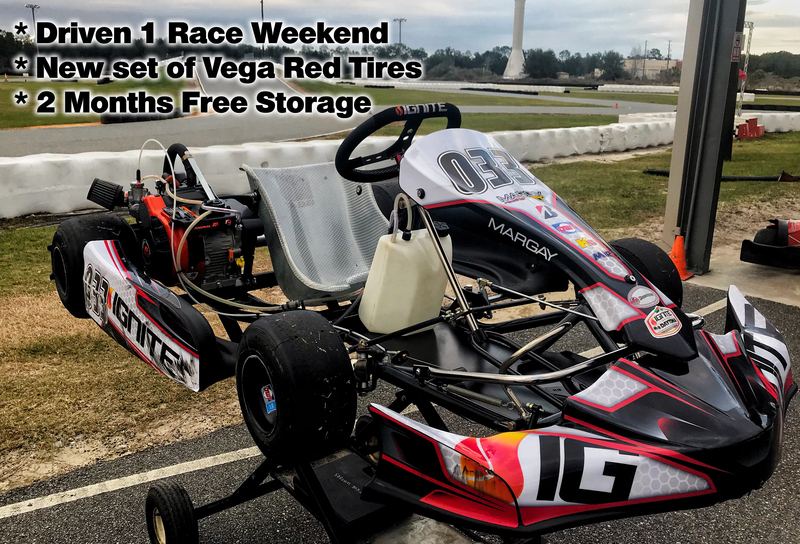 It has about 30 race days on it, comes with a set of Vega Red (VAH) already installed and 2 free months of storage. Comes with 2 extra nerf bars and side pods, and 4 extra 5″x5″ rims. Add a new Briggs 206 engine and a Mychron 4 for $1100 ….. You know you want this kart!